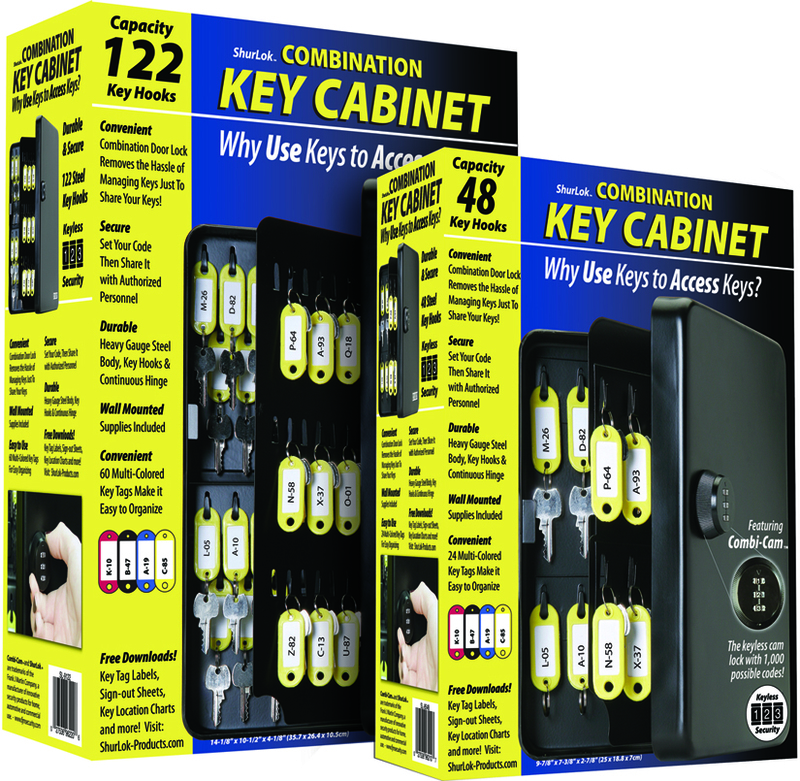 The KeyGuard Combination Key cabinet offers convenient key management with out the hassle of using keys to access keys. 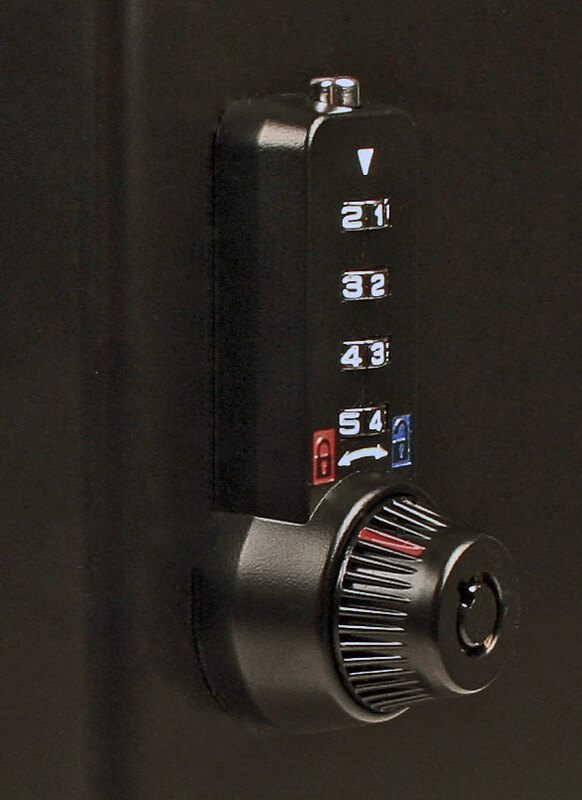 KeyGuard Key Cabinets are secured standard with a secure 3 dial Combi-Cam keyless cam lock that has 1,000 possible combinations. 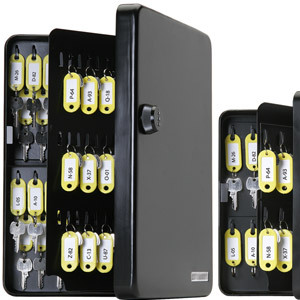 The cabinets are constructed of durable, heavy gauge steel and are available in 48 hook and 122 hook models. 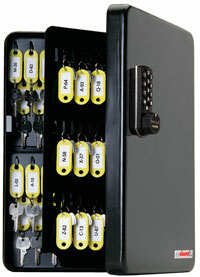 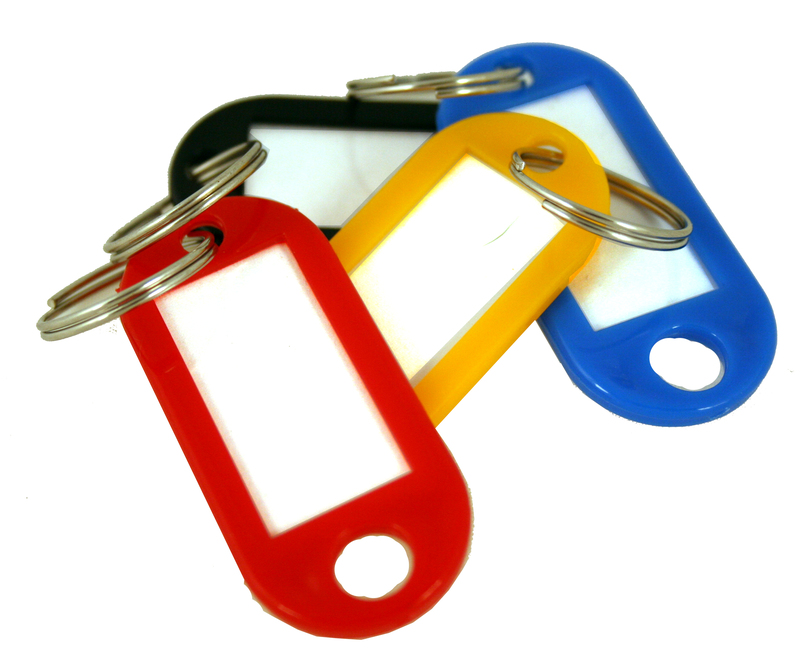 Mounting hardware and colored tags are included with each key cabinet.